On Monday I listened to an episode of The New York Times' podcast "The Daily" about the Camp wildfire that destroyed the city of Paradise, California. It was a harrowing episode with a lot of live audio and first-person experiences from the fire. But one thing, in particular, leaped out at me as I listened. They played a recording of a mother and a young daughter. The context is a little unclear but as they try to escape from the fire around them it appears that there’s a burning tree blocking the road and we hear that the mom is pretty upset. This exchange has stuck with me for the past couple of days since I listened to the podcast. The child's natural inclination is to cry out to God in a time of need, but she doesn't feel like she has been equipped to do what should be second nature. And my heart breaks when I hear that. The Bible tells us that God is in control of creation and that all of creation is made to praise him. Isaiah says the mountains will sing and the trees will clap their hands (Isaiah 55:12). David says, "The heavens declare the glory of God, and the sky above proclaims his handiwork" (Psalm 19:1). If all of creation is yearning in its need to give praise to its creator, then it is no wonder that we are also driven to seek God in times of high emotion. This need to seek God is in us from the very beginning of our lives and if you look you will see it so clearly in the smallest children. Jesus said "Let the little children come to me, and do not hinder them, for the kingdom of God belongs to such as these. Truly I tell you, anyone, who will not receive the kingdom of God like a little child will not enter it" (Mark 10:14-15). Our children know that they need God and want to communicate with him. In their innocence, they don't worry about what others will think of them or whether their hopes, fears, happiness or sadness will be seen as rational or proper. They just know that they need God's love and protection. During the infant baptism ceremony, we all promise each one of the children that we will help them grow up in the faith. 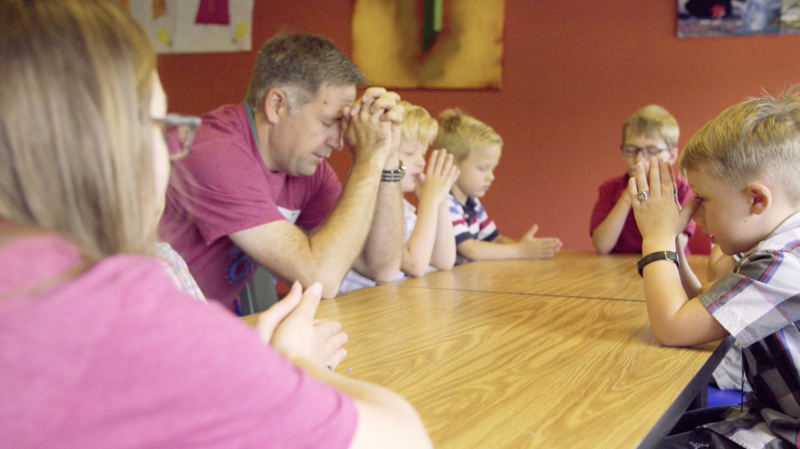 At Munger Kids, we want to make sure that no child ever feels like they don't know how to pray to God. As a church, we need to make sure that our children understand how to channel the feelings that they have about God. That they understand how easy and natural it is to pray. And that there is no special way. That they know that God loves them and that he is everywhere. That he knows their names and hears them when they call out to him, even before they call out. As Proverbs instructs, if we start our littlest Mungarians on the right path from the very beginning, then they will remain faithful into old age (Proverbs 22:6). A lifelong relationship with God starts at the very beginning of life, with faithful families, friends, and teachers.